Kenneth Dadzie was born in 1964. He has been a Christian since 1982. He preached his first sermon at the age of eighteen (18) years and preached regularly after that. He has been preaching on full-time for twenty (20) years and teaching at various Bible schools for fourteen (14) years. Kenneth Dadzie is a 1994 graduate of the Western School of Biblical Studies, Ghana. He holds Diploma and Advance Diploma, Biblical Studies from the International Bible Institute, South Africa and the Western School of Biblical Studies, Ghana. He also holds Bachelor of Arts, Biblical Studies degree from the Theological University of America. He is a graduate of GIMPA Public Services School, Ghana – Health Administration and Management. Kenneth Dadzie has been a minister of the Church of Christ, Kweikuma, Ghana since 1998. He is a former Health Services Administrator, Christina Adcock and Sons Christian Hospital, Ateiku, Ghana, an Author, a Human Rights and Family Advocate and an HIV/AIDS Counselor. He has been teaching at the Ateiku School of Evangelism and the Takoradi Bible College. 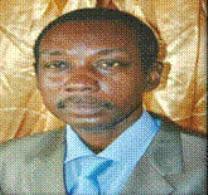 He taught at the West Coast School of Preaching, Takoradi from 2000 – 2004. He preached and also served as a resource person on religious discussion programmes known as “Religious Ceasefire” and “Adeakye Abia” on local radio stations; Goodnews FM and Kyzz FM from 2002–2008. He is married to Magdalene Dadzie. Magdalene has been a co-worker with Kenneth and a trustworthy friend in times of difficulties. They have four children and three grandchildren.